Following Registration you are cordially invited to our Welcome Party sponsored by Agilent TechnologiesChina Ltd. 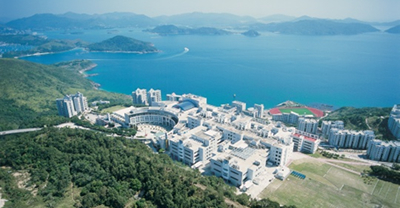 This will be held on campus overlooking the beautiful Shelter Cove of Clearwater Bay. The Welcome Mixer will be followed by our first special Plenary Lecture to be delivered by former IUCr president Prof. Sine Larsen. After a full day's program on Sunday we will conclude with a spectacular trip to the famous Hong Kong Victoria Harbor. Courtesy of Bruker-AXS GmbH full-registrants can enjoy a trip aboard the Aqua Luna junk boat. There will be two sailings 6.50pm and 7.40pm, each lasting around 45mins with complementary drinks and snacks provided. Either way there will be a chance to witness the spectacular laser-light show 'Symphony of Lights' which will take place from 8.00 to about 8.15pm. Bruker Corporation is a leading manufacturer of scientific instruments for molecular and materials research, as well as for industrial and applied analysis. We are grateful for their generous sponsorship of this event, as well as previous AsCA conferences. For more details of this and other events in Hong Kong please visit the Discover Hong Kong web-site of the HK Tourist Board. Coach transportation to the harbor from the conference site at HKUST, as well as the Tseung Kwan O hotels, will be provided at 6.00pm and 6.40pm sharp. We will also provide return coach transportation to TKO, both immediately after the event and later in the evening. The conference banquet will be open to all participants and held on the evening of Monday 9th December from around 7pm onwards. The banquet is most generously supported by our major sponsor Rigaku Corporation, who have also been a leading sponsor of past AsCA conferences. 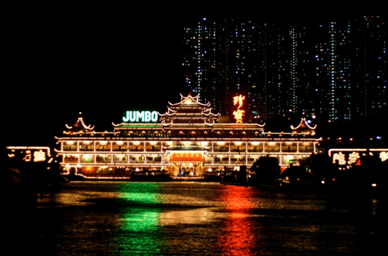 To celebrate our conference and make a memorable occasion we will hold the banquet at the famous 'Jumbo Kingdom' floating restaurant in Aberdeen harbor. You may also a take a virtual tour. Our conference will finish on Tuesday afternoon. For those able to stay we will put on a Farewell Party at the HKUST campus immediately following the last academic session. Coaches to the airport will also be provided for those flying out on Tuesday evening.